A mixed skin by enemys87's "URBANdock" and bSAYZ's "Snow Leopard White" and my own background image. Here is 4 HP themed docks, one for each House. Hufflepuff and Slytherin dock looks best against a black background. I just chose a random picture to use as a background on my desktop just to get these shots. I'm not happy with the picture I chose. Do u guy have any themes for Alienware ? i have Alienware theme and Xwindow dock but i don't have Alienware dock. 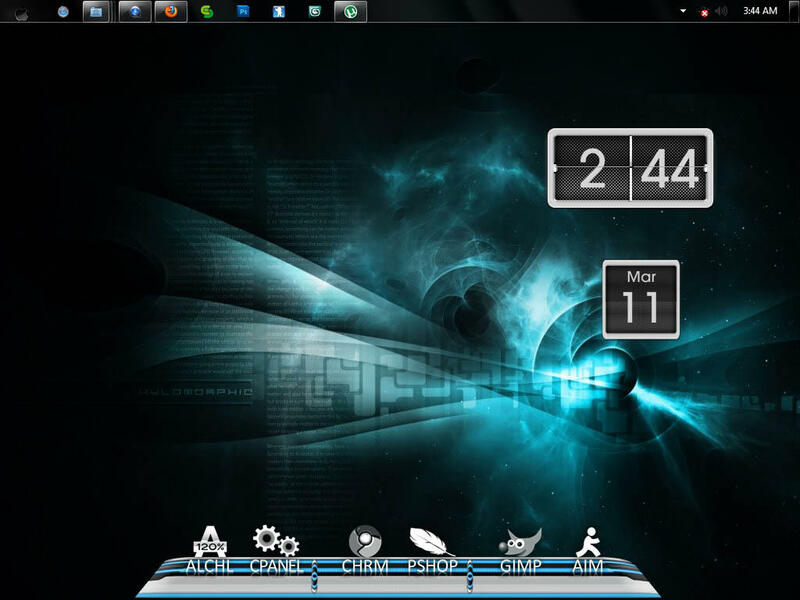 Can someone make an Windows 7 skin like the one in Nexus for XWindows Dock? I like that one, but don't want to have to use Nexus. Reactor the skin for XWindows Dock. My first skin.. hope you all like it.. I have made an .exe to install skin.. Spent a while looking around on the net for dock skins and porting a few to XWD v2. there is about 17 of them. Since release 25 you can also put the "drawer" into the skin. @Krispi, I don't think users are still active in this forum. :| I suggest downloading skins in DeviantArt instead. Most XWD 2.0 skins are available in there.